Having a high quality retractable fly screen in Cloverdale, is an important feature that homes can utilise on any window or door that can be opened. Retractable Screen Company specifically designs retractable fly screens for use with windows, doors and large openings, that offer superior insect protection. These features can save you money in the warmer months of the year allowing the home to be opened up in the evening to cool the house using the natural weather conditions, while avoiding having to worry about inviting in annoying insects such as mosquitoes. Our retractable fly screens also offer un-obstructed views so that you can enjoy all existing views while protecting your home from unwanted insects. We offer retractable fly screens in Cloverdale that are constructed using pleated pollster insect mesh, which is substantially more durable than using fibre glass mesh. Additionally to being more durable it also maintains the same level of transparency as the more traditional mesh material. 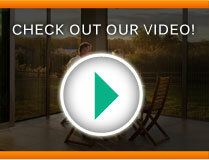 Retractable Screen Company can fit screens to any type of door or window in Cloverdale. Our custom retractable fly screens are especially suited to large sized openings. Our partners at Sail City manufacture and install high quality shade sails in Cloverdale that are great for creating shaded areas over carports, pools, playgrounds and courtyards in both domestic and commercial areas. 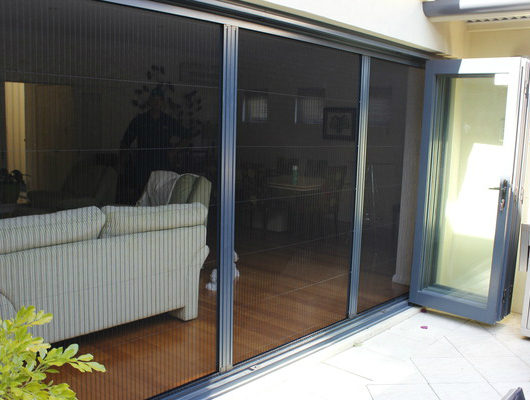 If you are in the later stages of building your home or want to better utilise the cooler times of day and protect your family from unwanted insects in Cloverdale, make sure you think of Retractable Screen Company. 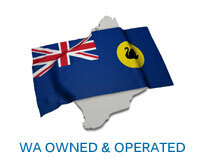 Retractable Screen Company performs installations all over Western Australia including installations of retractable fly screens in Perth.